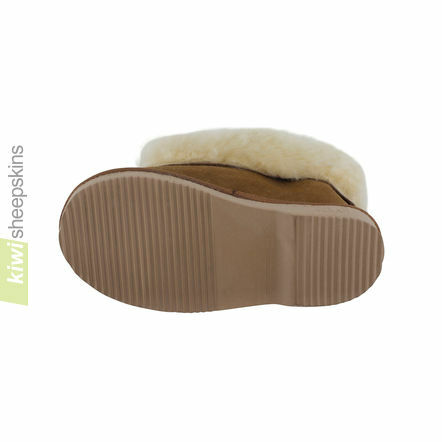 Grown and crafted in New Zealand for children’s feet, these bootie slippers are premium quality and extra soft and comfortable. Made with genuine sheepskin uppers and insoles. Customer feedback relating to these great child sheepskin slippers. 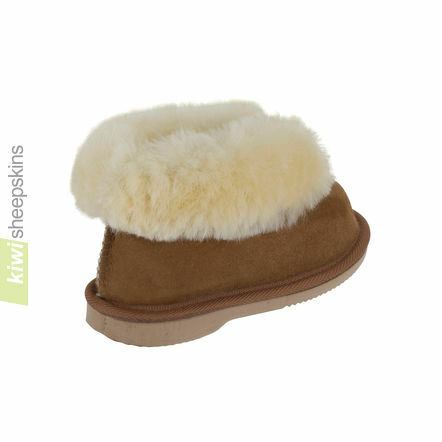 I wish to let you know that I am absolutely delighted with the kids sheepskin bootie slippers that arrived yesterday. The quality is superb, both of the sheepskin itself and of the manufacture. Although we are reaching the end of winter in Europe, I wore them all day yesterday and am really looking forward to doing this them all day and everyday next winter. May I add that I could not possibly hope to find anywhere in Europe the quality of your products for the very reasonable price you charge for them. Snuggly yours in my booties, Chantal. The little bootie slippers arrived this morning, and as with the other products I have purchased in the past, the quality is first class, can't wait to give them to my little grandaughter. Thank you so much. Thanks very much for my order, I was very pleased. 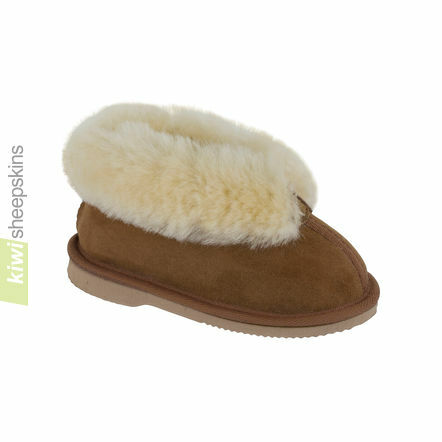 The boots and slippers are so soft and cosy. They arrived so quick as well. Please go ahead and put my feedback on your web-site, people need to know how good your service is.